Getting lost in a book is one of my great childhood memories. I remember being so proud of my Baby Sitters Club and R.L Stine collection that I had so neatly shelved in my bedroom. 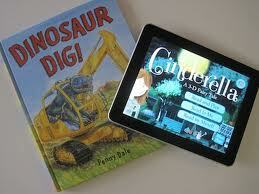 But with all the e-readers today, are paper books going out of style? Kim Musgrave loves the way the iPad captures the attention of her son, Luke. 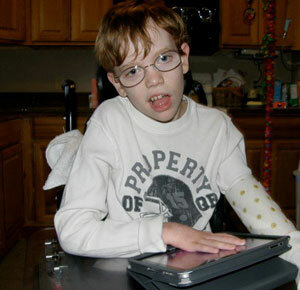 Luke is 14 but functions at about a 2-year-old level due to his struggle with cerebral palsy. Musgrave recently shared her app recommendations for kids with special needs during a parent support group meeting at Akron Children’s Hospital. When it’s time for your child’s 6-month well visit, his pediatrician will tell you how much your little one has grown since the last visit. He may need immunizations. And he definitely needs a book. Ah, bedtime. I hate to admit it, but I look forward to a little mommy time at the end of all the chaos. Getting those little boys to go upstairs to get a bath, help them brush their teeth and convince them to wear pajamas can definitely be trying, but one thing I never have to beg them to do is pick out books for bedtime.